English actor Tom Hardy (Mad Max: Fury Road) has been on a bit of a hot streak of late, which he appears to be continuing to ride leading up to the debut of his latest original production for television, Taboo. Based on a story co-written by Tom and his father, Chips Hardy, the new show created by chief showrunner Steven Knight (Locke) tells the tale of one James Keziah Delaney, who returns to early 19th century London to inherit his father's shipping empire after spending a significant - and life changing - time in Africa. Unfortunately, Delaney is forced to contend with unforeseen competitors to his family fortune. Like Knight's last original television series Peaky Blinders, Taboo appears set to deliver potential viewers in the U.S. a thrilling new historical drama that will see its domestic premiere on FX in early 2017. After collaborating together on the taut psychological thriller Locke in 2013, Hardy and Knight should be able to come together to deliver another intriguing production, which is exactly what the latest TV promo appears to promise. In the footage featured above, Hardy cuts an intimidating figure as the world-weary globetrotter James Keziah Delaney making his way home to reclaim a family fortune that might not be so readily given back to him. Alongside executive producer Ridley Scott (The Martian), Knight's latest television series should offer potential viewers an enigmatic, mysterious, and unsettling period drama wherein Hardy is primed to go a little mad. 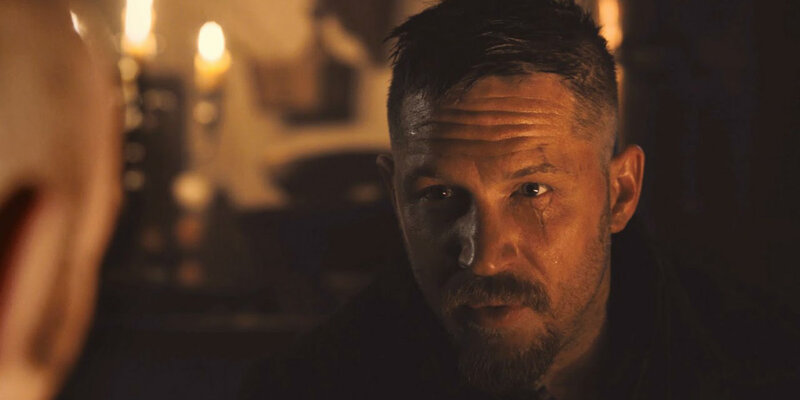 After working with director George Miller on the similarly frenetic genre film Mad Max: Fury Road, Taboo should prove to be another breeding ground for the kind of feral menace that Hardy recently perfected in the role of Max Rockatansky. Based on all appearances thus far, the new show should prove to be another winning original production from Knight that is sure to turn a few heads when it finally reaches American viewers later next year. The fact that Hardy co-wrote the story behind Taboo adds an extra layer of novel intrigue to the proceedings, and Ridley Scott's involvement is always a welcome addition to any feature film production behind the scenes. It remains to be seen how popular Taboo proves to be among general audiences, though the pedigree attached to its chief creator and showrunner - in addition to Hardy's chilling, starring turn - should provide more than enough reason for viewers to tune in when the show finally airs on FX. Taboo will premiere in the U.S. on FX in early 2017.